Books: Bible, The Pumpkin Gospel, Frog, Where Are You? What does the word "commandments" mean? What are some of the rules that you have to follow? Verse: Deuteronomy 5:16 - Honor your father and your mother, as the Lord your God has commanded you. A little bit down. Circle the drive. Put on a hat. That makes a five! 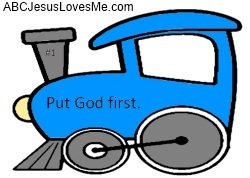 Color and cut out each of the 10 Commandments Trains. Put the train in order discussing each commandment and glue onto a large piece of butcher block paper or post on a wall. - The Ten Commandment Boogie - Our kiddos love this song by Go Fish. A rectangle is like the stone tablets Moses received from God. Cut a piece of brown construction paper in half to make two tall rectangles. Cut the Rectangle 10 Commandments worksheet. Scrunch the printable papers up. Smooth out with your hands or a rolling pin. Continue to scrunch and smooth the paper several times until wrinkles cover much of the papers. For the final time, smooth the paper out and glue to the brown rectangles. Paint with brown watercolor paint. 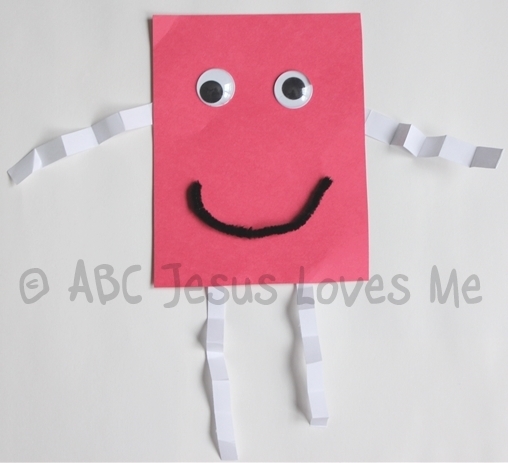 - Add to your Shape Family by creating a Rectangle Buddy. Cut a large rectangle out of construction paper. Accordion-fold long, thin pieces of paper to form legs and arms. Glue to the shape. Add a face with a rectangle shape for the eyes and nose. May also add shoes, hands, hair, or other accessories. 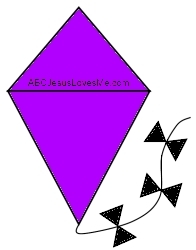 - Decorate the Triangle Kite worksheet. - Add to your Shape Family by creating a Triangle Buddy. Cut a large triangle out of construction paper. Accordion-fold long, thin pieces of paper to form legs and arms. Glue to the shape. Add a face with a triangle shape for the eyes and nose. May also add shoes, hands, hair, or other accessories. - Introduce the letters Ff using the tactile letters and decorate the Letter Poster to add to the Letter of the Week book. 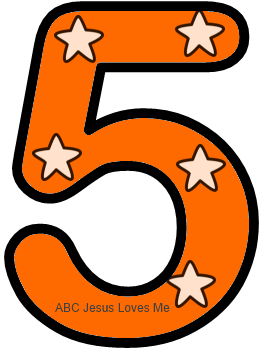 - This week glue on construction paper to decorate the Number 5 Poster. Add five stickers. 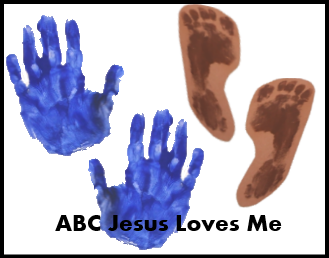 - Create a handprint and footprint and count five toes and fingers. You may want to use this to begin the Handprint and Footprint Calendar for a great Christmas gift. Using the tactile letters in the child's name, assist the child in putting the letters in order. - The Boy, Dog, Frog series is Mercer Mayer's "wordless tale." Don’t allow the lack of words to scare you. Take your time to look at the details of the pictures and point out the background objects. Allow your child to "read" the book. This activity works to increase vocabulary and expressive language. Mr. Mayer is also known for his Little Critter series. Cut a large circle out of green construction paper. Cut two small circles out of white paper for the eyes and glue on the circle. Draw two dark spots in the frog's eyes. Draw two tiny lines for the frog's nose and a line for the mouth. Draw around, cut, and glue two handprints for the legs. 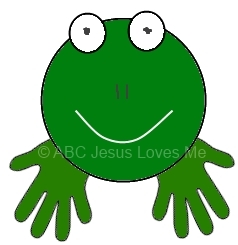 - Focus on the /f/ sound in the word "frog"
- Hop around like a frog. - Have your child draw a "book" and tell you the story. 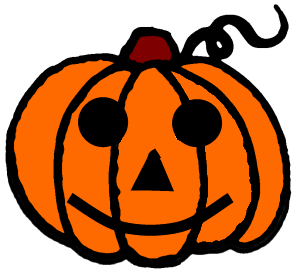 Carve a pumpkin making the face out of various shapes learned so far. Allow your child to dig out the seeds and count out groups of seeds. Have your child pick up the seeds using his thumb and index fingers. 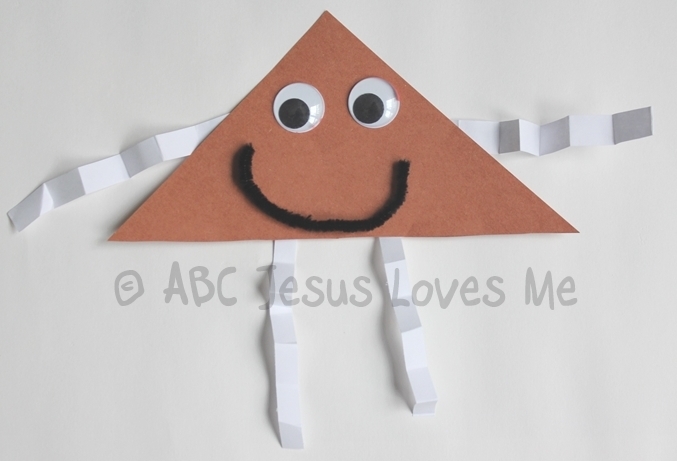 Incorporate this activity with The Pumpkin Gospel book. Place pillows, couch cushions or anything soft on the floor for your child to crawl over. Have fun making mountains and climbing peaks! If the weather is nice, rake a big pile of leaves. Pretend you are Moses climbing Mount Sinai to receive the 10 Commandments. Act out the narrative between God and Moses and discuss God's holiness and goodness.